There isn't a man, woman or child who wouldn't benefit from spending time with this.' India Knight The Trouble With Women does for girls what 1066 and All That did for boys: it reminds us of what we were taught about women in history lessons at school, which is to say, not a lot. 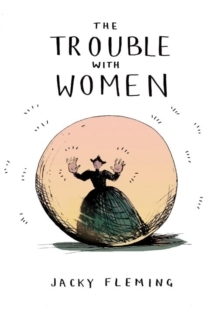 A brilliantly witty book of cartoons, it reveals some of our greatest thinkers' baffling theories about women. We learn that even Charles Darwin, long celebrated for his open, objective scientific mind, believed that women would never achieve anything important, because of their smaller brains. Get ready to laugh, wince and rescue forgotten women from the 'dustbin of history', whilst keeping a close eye out for tell-tale 'genius hair'. You will never look at history in the same way again.